Just in time for a visit from the Easter Bunny! 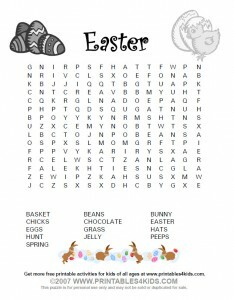 Print out this fun Easter themed word search puzzle to keep kids busy on the way to Grandma’s or anytime really! Click the Easter Word Search image to view and print full size or download the Easter Word Search as a PDF file.